More of my Singer 911 photos put to good use, this time in the Ralph Lauren Magazine. 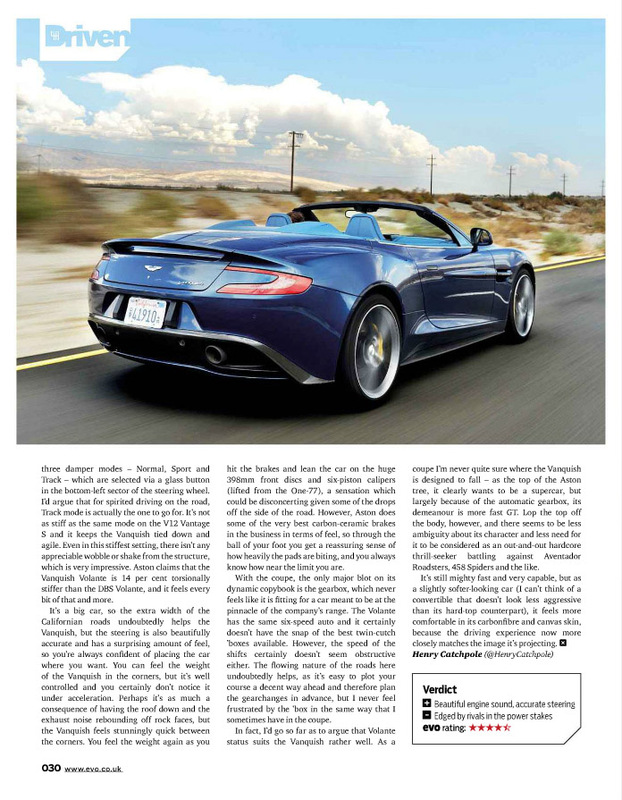 You can check out the article online here. 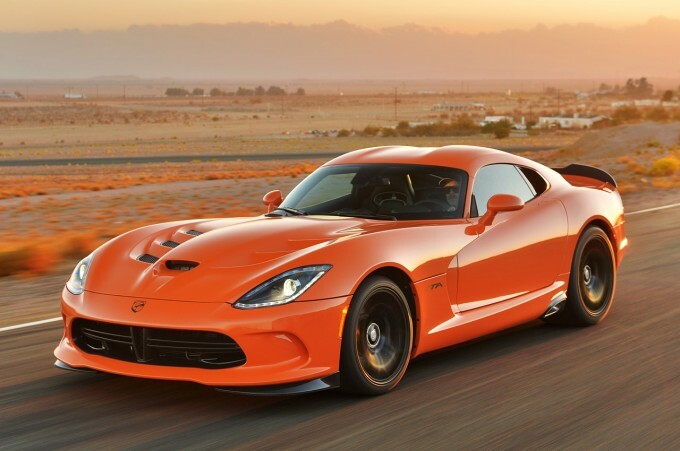 This past week I headed up to Willow Springs Raceway to photograph the new 2014 SRT Viper TA, and the conditions for the photoshoot couldn’t have more perfect. A Southern California sunset and a bright orange car to match. Much thanks go out to the SRT team who didn’t mind staying at the track until dark to accommodate me. 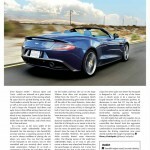 There was a quick turnaround and the photos are already up on Autoblog.com. You can see the review and full photo gallery here. I find myself heading up to Willow Springs Raceway more and more, this latest time being for a track day put on by Mercedes-Benz AMG. 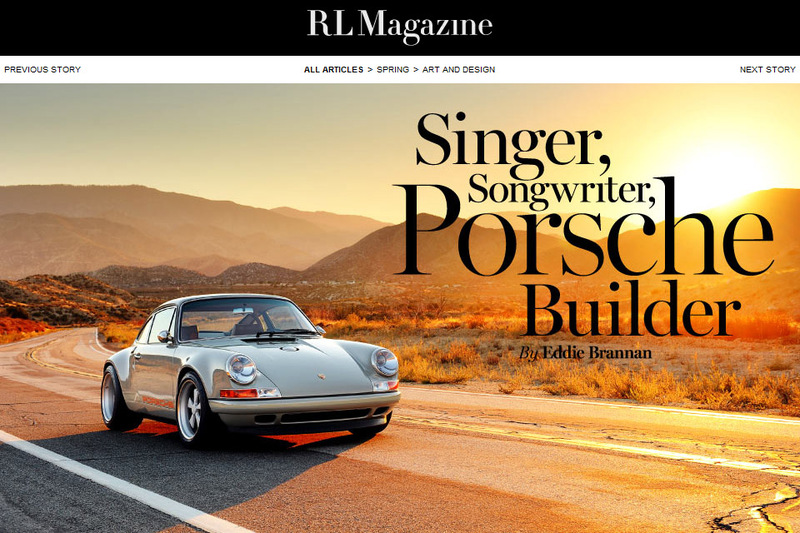 While the brand’s entire lineup was essentially there, the main focus was the SLS AMG Black Series, which turned out to be an incredibly photogenic car. I hope I can do a proper photoshoot of one soon. You can see the photo gallery of the car on track over at Autoblog.com. 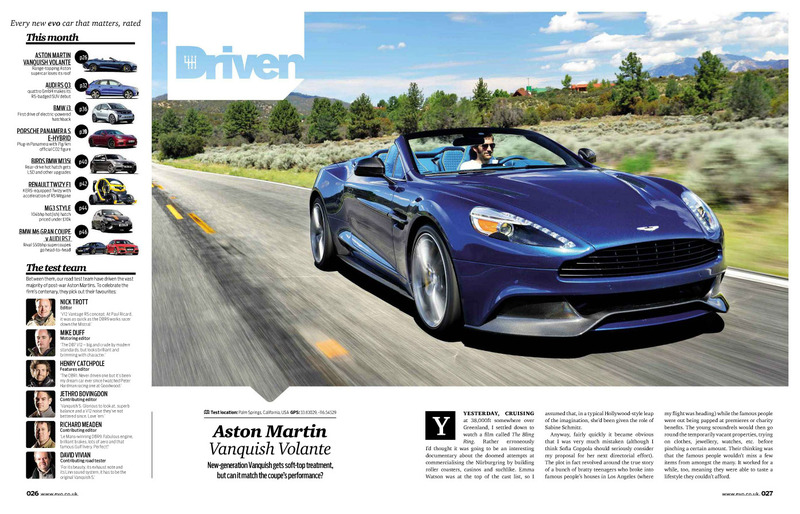 More Vanquish Volante photos, this time featured in a nice spread in the December 2013 issue of Top Gear. 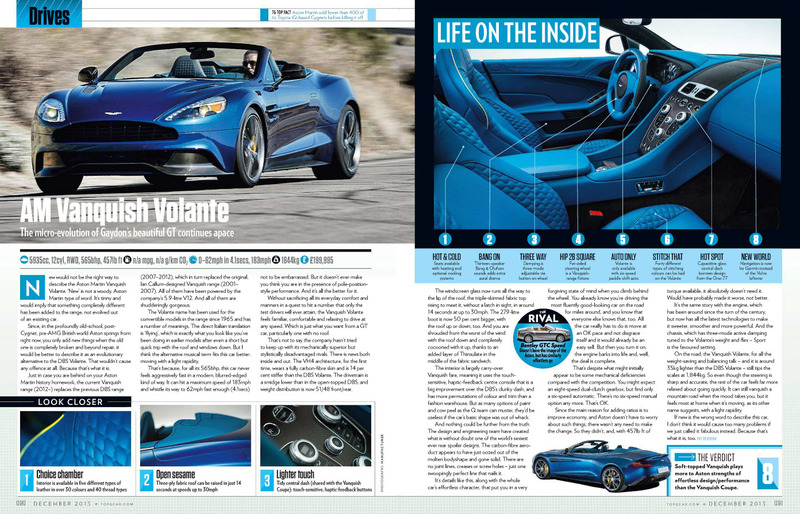 Following the twelve page feature on the Aston Martin V12 Vantage S in their December 2013 magazine, EVO have just released their Car of the Year 2013 issue that has my photos of the Aston Martin Vanquish Volante. 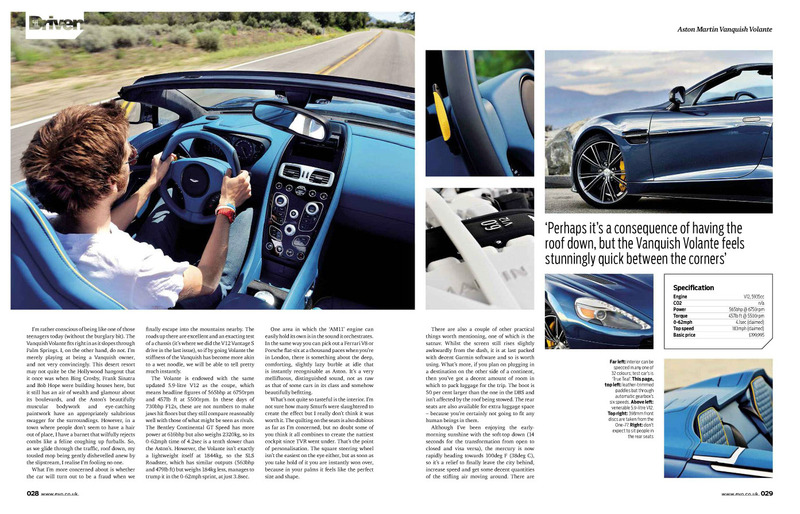 Yet another great piece by Henry Catchpole, and kudos once again to their art director for a great layout. You can see the full article below. 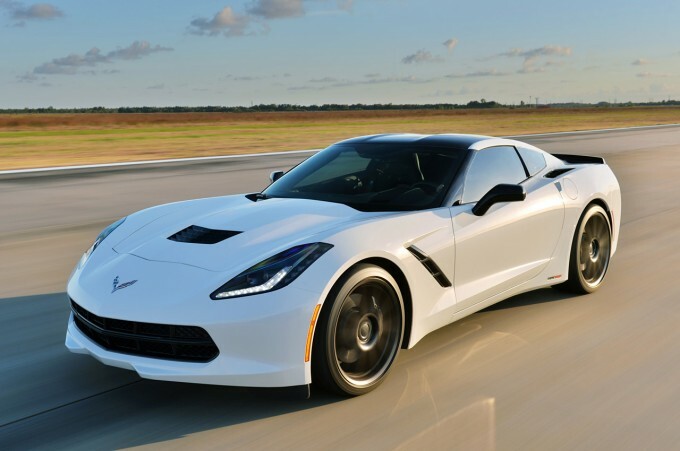 Just last week I headed out to Houston to photograph Hennessey’s new Corvette Stingray, and the photos have now been released. You can see them on Hennessey’s web site or on the automotive news sites below.